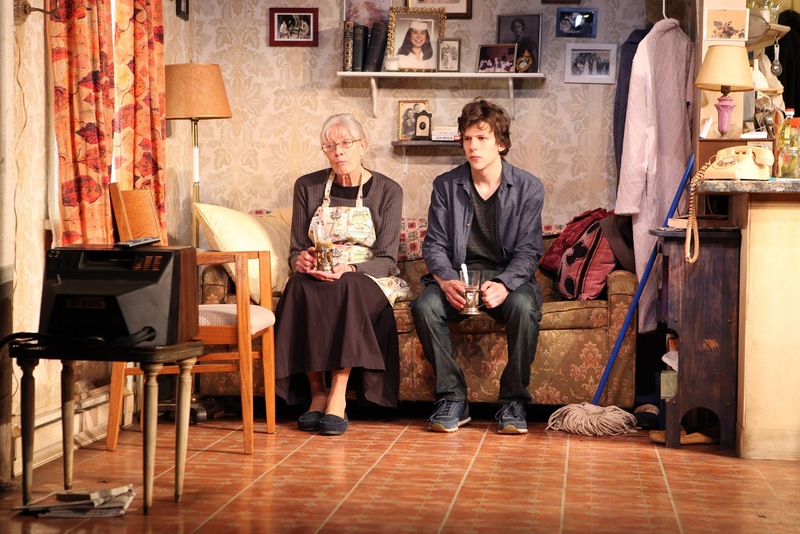 Jesse Eisenberg’s oddball play is, sorry to say, far from great. There’s more than the germ of a good idea here, and the thematic subtext about the nature of family is a worthy one. But in the play’s current form, character development – particularly the part he’s written for himself – and large chunks of the text need refining. And yet, for all of that, here is the great Vanessa Redgrave giving a truly magnificent performance. Though she’s definitely one of those actresses who “could read the phone book” and make it magical, it must be conceded that Eisenberg has, in fact, written her a decently meaty role. I don’t believe she’s ever been better, even in greater plays, and that is saying something. 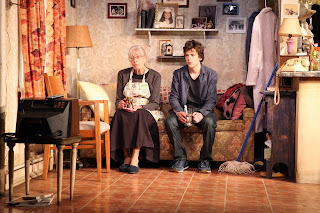 She plays Maria, an elderly Polish woman living in virtual solitude in her Szczecin apartment delighted that her distant cousin from America – that’s David (Eisenberg) – has come for an extended visit. But when the insensitive lad arrives, he is barely cordial. No sooner is he in the door than he wants to shut himself in the bedroom she’s vacated for him, and finish the sci-fi novel he’s been working on, and smoke hash when the whim strikes. Maria had planned to cook for him, and give him a tour of the city, but David will have none of this. His character is so hyper-kinetic and unpleasant that it sorely grates on us, even as Maria seems to put up with it with remarkably good grace. Dan Oreskes is excellent as a non-English speaking taxi driver friend of Maria whom at one point David encourages to parrot some curse words, typical of the rather sophomoric humor Eisenberg sometimes employs; the “Who’s on First” routine performed by him for Maria being another example. Still, in that scene, and elsewhere, Redgrave and Eisenberg play well together, and transcend the oil and water aspects of their acting styles and characters. There are some late revelations – which demonstrate the multiple meaning of the title – but Maria’s subsequent actions are a puzzlement, to say the least. Eisenberg might consider some fine-tuning if the play is to have an after-life following its limited run at the Cherry Lane. 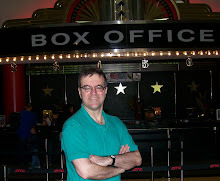 Kip Fagan’s direction keeps things moving throughout its nearly two-hour intermission-less length. John McDermott’s three-room set on the compact stage is finely detailed, and Jessica Pabst’s costumes perfectly define the characters. Well, I loved the play. Jesse and Vanessa play really good together.